The Winter Placing Havoc On Your Exhaust System? What to Do If You Failed A Everett Emissions Test? Help I need Transmission repair in Everett! Everett Transmission Service do you need it? Are You an Everett Buick Service VIP? Do I Really Need to Wax My Chevrolet? Do You Practice Kaizen With Your Honda? 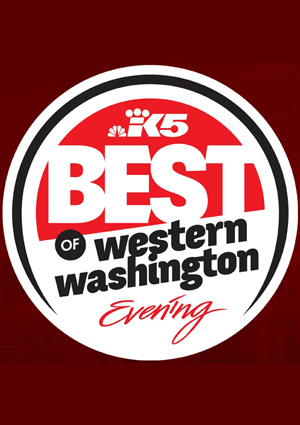 Everett, Lynnwood, Mukilteo, Snohomish Honda Does! Are the Scheduled Maintenances Really Required for My Chevrolet? Why Must the Spark Plugs be Inspected with a Fuel System Service? What can I Expect with a Acura 90K Mile Service? Exactly What is an Everett Tune Up? Does you car a/c work? Is it blowing cool or warm air? Oil Change Service | Why do you change your oil every 3,000 miles? What Does Motor Oil Do for a Car’s Engine? 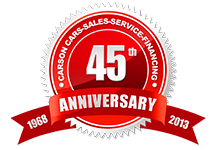 | Carson Cars Wants You to Know! Did your fuel pump stop working? The sun is out and its great!! Dont Get Stuck In The Rain With Bad Windshield Wipers! When do you need a timing belt replaced? Why rotate your tires and get them balanced? Time To Fix Your Vehicle’s Air Conditioning? Windshield Or Wipers Not Doing Their Job??? Is Your Car Ready For Fall? Brr, It’s Getting Chilly, Is Your Car Ready For The Cold? When should you replace the brake fluid in your car? Why do we need snow tires? Get Your Check Engine Light Scanned For Free! Great time for service the car or truck- this is a great value!!! Help! We Need To Find A Temporary Auto Shop For A Few Months! Carson Cars Auto Repair Is Offering You A Discount! Is A Road Trip In Your Future? Time to get the hot rod out of the garage and get ready to roll!!! Time to get your old car from high school on the road? Need to get your coolant checked before a long trip- stop by today and get it checked for no charge!! Time to rock the cool sound of new exhaust! Did You Fail Your Emission Test? Are You Out Looking For a New Car? Is Your Car In Need Of An Oil Change? Carson Cars Auto Repair Offers It’s Customers Free Towing Service! Brrr… It’s Getting Cold Outside! Are you ready for winter? We can help!! How low does the coolant in your car or truck go’s down to? Winter Is Arriving, Will You Be Ready? Car getting a little dirty? Start your new year off with a clean car! Synthetic Motor Oil: How Often Does It Need Changed? What do those warning lights mean? Auto Service Everett can help. Cooling system service starting at $49.99. oil ,filter, and lube service starting at $29.99. Going on vacation this month? Transmission services starting at $129.99. Come in and see us for all you’re car needs! The sun is nice and bright!!! We have heating and cooling specialist inspections starting at $29.99. Need A Ride While Your Car Is Getting Repaired? Time to Rock and Roll!!! Is now a good time to catch up on your over due oil change? Hello all the in the auto world. Going on a trip soon? Dont Get Stuck In The Heat! Is a 90k Mile Service in Lynnwood Really Necessary? When do you need exhaust repair in Marysville? What is included in a brake service in Lake Stevens? Is the 90K Mile Service Necessary? Schedule Fuel System Service in Lynnwood Today! 90k Mile Service in Lynnwood – What’s Usually Included? Does My Car Really Need a 90k Mile Service in Lynnwood?